Lock in a great price for Pousada Pérola do Porto – rated 8.8 by recent guests! The concierge was open 24 hours. The pool provided a nice respite when coming back from the beach and they made a good effort to accommodate all requests. Everything was perfect. The staff is super friendly rooms are comfy, location is great! We will come back! 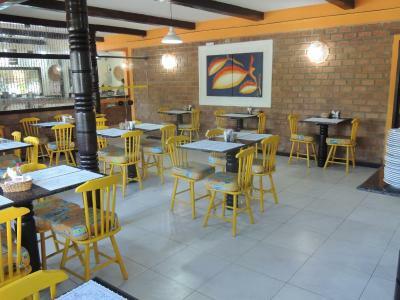 Breakfast was excellent and the staff extremely friendly and helpful. Very cosy, safe and air conditioning was great too. Highly recommended. We really liked the location of this particular Pousada. 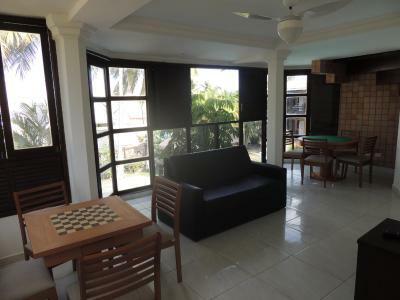 It is 1 min walk to the beach and 8 min to the center of the town. The place itself is still somewhat hidden and calm. The room and the pool area are very nice. Staff is very welcoming and friendly! Atendimento. pessoas muito simpaticas e atenciosas. Atendimento nota 10. Limpeza perfeita. Ótima localização, piscina, café da manhã e toalhas disponíveis para piscina e praia. El personal muy atento, nos ayudaron mucho sobre la información turística y constantemente nos consultaban por nuestra estadia. Un punto adicional, por la tarde servían café y cosas dulces de cortesía. El desayuno, variado, completo y muy bueno. Excelente relación calidad y precio. A 5 cuadras del centro de Porto. 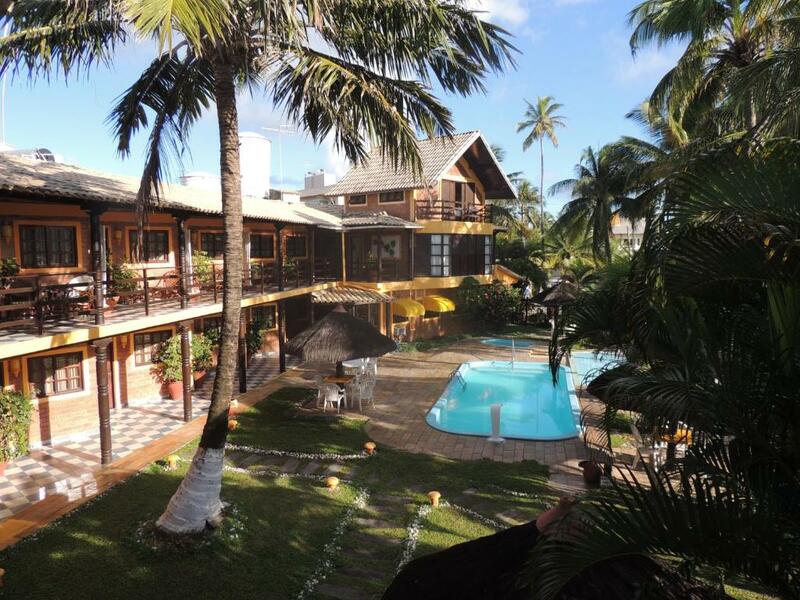 One of our top picks in Porto De Galinhas.Pérola do Porto is in a great location, just 100 feet from Pernambuco´s Porto de Galinhas Beach and near refreshing natural pools. It features tropical gardens, 2 swimming pools and free Wi-Fi. Displaying some regional decorative items, rooms at Pousada Pérola do Porto provide air conditioning, a flat-screen TV with cable channels and a mini-bar. Bathrooms are private. 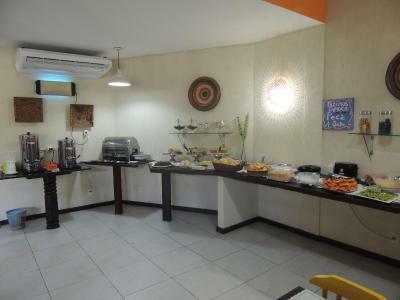 A varied buffet breakfast is served daily, including fresh fruits, natural juices, cakes and regional specialties. Drinks, snacks and pizzas can be ordered from the bar next to the adult and children pools. Pousada Pérola do Porto is within 1,300 feet from Porto de Galinhas village, where guests find additional options for dining and leisure. The hotel provides free public parking at a location nearby and the front desk is open 24 hours a day. 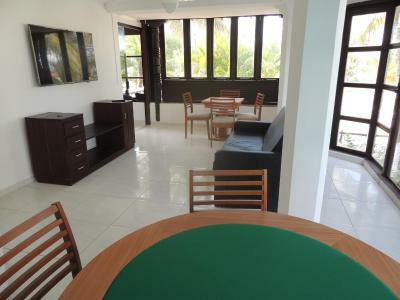 뀐 Located in the real heart of Porto De Galinhas, this property has an excellent location score of 9.1! When would you like to stay at Pousada Pérola do Porto? 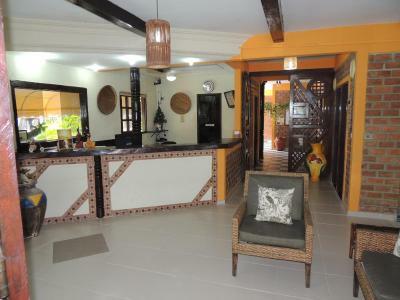 This double room features air conditioning, a flat-screen TV with cable channels, a telephone, a mini-bar and a safe. Bathroom is private. Boasting a balcony with garden views, this air-conditioned double room features a flat-screen TV with cable channels, a telephone, a mini-bar and a safe. Bathroom is private. Boasting a private entrance, this suite features heating, air conditioning, a flat-screen TV with cable channels, a mini-bar and a private bathroom. Extras include free toiletries. This family room has a tile/marble floor, flat-screen TV and mini-bar. House Rules Pousada Pérola do Porto takes special requests – add in the next step! Pousada Pérola do Porto accepts these cards and reserves the right to temporarily hold an amount prior to arrival. Please note that is not allowed to bring drinks and food from outside to the property. The breakfast could start a bit earlier. Breakfast was not good and overcrowded. The pool was very small and the water not cristal clear. Breakfast was not really to our taste. People very friendly and service oriented. Music playing all through the night and people shouting, revving engines and sounding horns. Breakfast started at 7:00.